2017 was an amazing year for gaming, with blockbuster titles such as Super Mario Odyssey and Horizon Zero Dawn pushing the limits of consoles and indie games such as Yooka Laylee and What Remains of Edith Finch providing fascinating experiences. However, 2018 doesn’t look to be a drop-off by any means, as there’s still plenty of incredible titles on the horizon. Join us at Innotech Arcade as we look towards the future! For example, 2018 will see the return of the classic gaming company Rare with the release of Sea of Thieves. Featuring a pirate setting, incredible graphics, and plenty of action, Sea of Thieves looks to be a proper comeback for the company that previously brought us memorable experiences such as Banjo Kazooie and Perfect Dark. Additionally, 2018 will feature the long-awaited Spider-Man game for Playstation 4. The game looks to capture the fast-paced action of the web-slinging superhero from the films and comic books as well as provide a compelling story, complete with a brand new villain for Spidey to square off against. And those are just two examples of incredible games coming out this year! Check out the video below for more must-have games coming out in 2018. 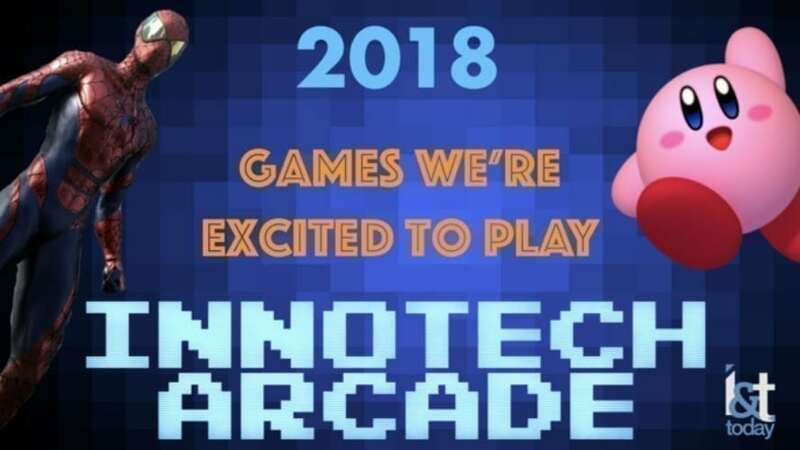 Want to see more episodes of InnoTech Arcade? Make sure to subscribe to our YouTube channel to keep up with all of our new gaming content as well as exclusive interviews and news segments. Recently, we’ve published our exclusive interview with Indiegogo CEO David Mandelbrot as well as our CES-exclusive episode of InnoTech Arcade where hosts Alex and Anthony played a more realistic version of Pong as well as played a few rounds of video bowling. There may not have been copious amounts of trash talk.